JEI Learning Center believes in the unlimited potential of children and their ability to become creative leaders of tomorrow. JEI's scientifically-proven Self-Learning Method will help develop confidence in students with individually paced, step-by-step learning in Math and Language Arts programs. Once children begin to enjoy learning independently, their potential grows exponentially. "A Better Life Through Better Education" is the philosophy behind JEI's internationally acclaimed method. JEI offers an effective supplementary education for children through the quality of our centers’ innovative approach to education. Gifted and talented students, students performing at grade level, and students who may require additional attention, all enjoy an enriching and immersive academic experience with proven results. With a recommended ratio of 5 to 1, children are given the opportunity to work closely with an instructor. JEI skilled directors inspire their students to develop critical thinking abilities while encouraging them to explore their boundless creative minds and unlock a passion for education from an early age. Currently, there are nearly 100 centers in the US with new JEI centers opening every month. JEI has been guiding students for over 35 years and is present around the globe with over 500 locations worldwide. How long has JEI been in business? JEI was established in 1977 and has been providing supplemental education services throughout North America since 1992. Do I need to have a background in education in order to open a JEI Learning Center? No, but some experience in the field of education and/or business is preferred. The franchisee must have at least a four-year college degree. The initial franchise fee includes: the use of the JEI brand name, trademarks, and operating systems; services to help you establish your new business; access to the confidential operating manuals and software; the use of JEI workbooks and materials, initial training, and on-site assistance and training at your location prior to or during the opening period; and other related support functions. The royalty fees range from $24 - $29 per subject per month depending on the number of subjects enrolled at the center. A subject is deemed as a single JEI program taken by a student. A student can be enrolled in more than one subject at a time. 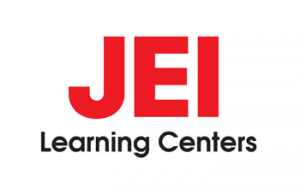 Thank you for your interest in franchise opportunities with JEI Learning Centers. Please fill out the form to take the first step towards joining our team! As a JEI franchisee, you will experience immediate benefits as our exceptional team of business and education professionals are dedicated to serving you. JEI provides the very best in professional training, support, and guidance for the franchise owners. We are committed to heightening consumer awareness through creative and cutting-edge marketing and media outlets, and are always researching and developing new ideas for our business support system. We offer several different types of comprehensive training that will prepare you for the day-to-day operations of your center. Our training courses also provide assistance in improving the quality of service provided to your clients. JEI will work with you to locate and survey possible sites by utilizing the most up to date demographics information, competitor analysis, and provide guidance specific to lease agreements. Our marketing department will assist you in the creation of seasonal and location-specific advertising. Additionally, we will help in the planning of your center's individual marketing strategy using various mediums including social media. Our administrative and franchising departments will offer you full support in your daily operations. In addition, you will have access to our proprietary diagnostic testing and web-based student management software, available exclusively to JEI Learning Center directors.